If you’re here, you already know that sunscreen is a good thing. So I won’t waste any time trying to convince you. But most sunscreens are not vegan, and some of the ones that are will leave you with dry skin. That’s why I set out to find the best vegan moisturizers that have a decent SPF level. All-in-one protection, that also doesn’t smell bad, leave chalky residue, or cause any other skin issues. It took my about 4 hours of researching to come up with these 5 options, mainly because it often takes a lot of research to find out if a product is or isn’t vegan. I am very confident that the 5 moisturizers on this page are vegan. I’ll explain why for each one individually later. If you end up looking at products not from this page, you should know what to look for. Beeswax – often used in moisturizers and isn’t vegan. Chitin – Mainly comes from crushed up insects and crustaceans. Collagen – Comes from animal connective tissue (lab-made collagen isn’t quite there yet). Lanolin – Comes from the oil in sheep’s wool and isn’t ever vegan. Stearic acid – Can come from plants, but usually comes from animals. You’ll need to contact the company. I included all of the best products I could find on this page because everyone’s looking for different things. The table below will let you sort by price, SPF level, EWG score, or average review rating. 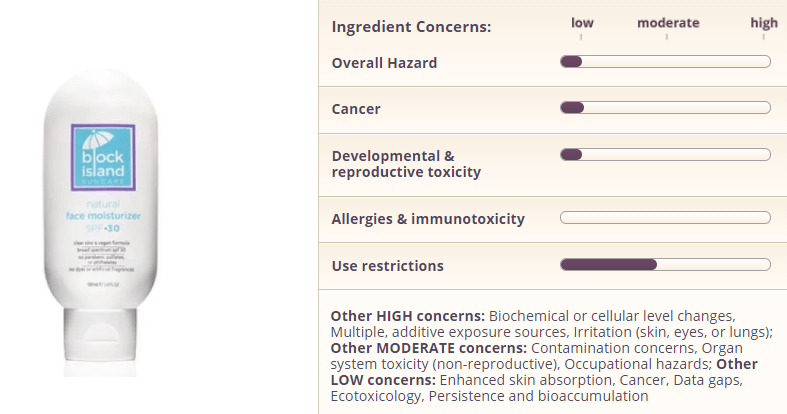 If you’re not familiar with the EWG score, it’s a score from 1-10 that rates how safe the ingredients in a cosmetic is. A lower score is better, “1” is ideal. 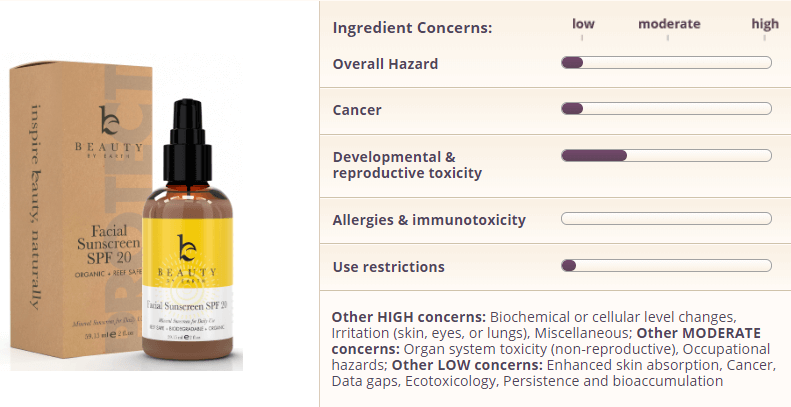 (Not surprisingly most vegan products are fairly “natural” and safe, and have a good EWG score). Also note that the “cost” score is based on the price per mL (or oz). That let’s us fairly compare the cost. I’ve gone into more detail for each product below the table. It’s hard to go wrong with any of these, but one is probably better for you than the rest, so hopefully this helps you find it. Amazing reviews – it seems universally loved. About as cheap as you’ll find for a vegan moisturizer with SPF. Contains CoQ10 with resveratrol and antioxidants for moisturizing. 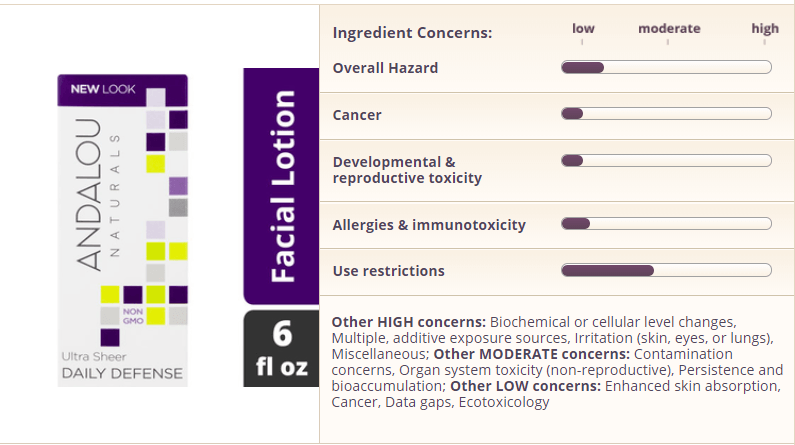 Andalou’s facial lotion with SPF was the highest rated overall, and somehow costs the lowest per mL/oz. It’s certified vegan and cruelty-free on the label, which made it easy to identify as vegan. There’s no weird chemical names that you have no idea if they are vegan or not. It’s meant to be applied daily, either by itself or under makeup. It should last for 2 hours of sun exposure each time it’s applied. As far as safety concerns go, it’s rated 2/10 by EWG, which is a very good score (although not perfect). In summary: Andalou Naturals Daily Defense is a highly effective moisturizer with a decent level of SPF, and is surprisingly affordable. It’s the best overall in my opinion. Lightweight – good if you have sensitive or oily skin. Combines well with other skin products. Intended for day use only. 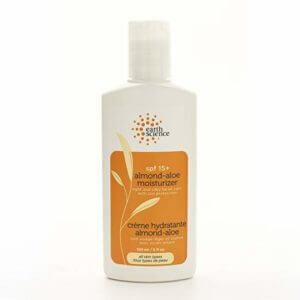 This aloe moisturizer is highly rated overall, and has very few “bad” reviews. Even then, most bad reviews are silly complaints about shipping. I had to do some research to confirm that it was vegan, because there’s no clear label. But all the ingredients on their official site appear to be vegan to me. Additionally, Ethical Elephant lists this specific product as vegan. They evaluate products not just based on ingredients, but any records of animal testing as well. That’s enough for me to be confident that it is vegan. It’s definitely on the expensive side, but it’s a very lightweight moisturizer, so you only need a small amount. It should last a reasonable amount of time. Unfortunately, it was the one product here that hasn’t been tested by EWG, so there’s no score we can look at. If you care at all about EWG scores, go with any of the other 4 here. In summary: Marios Badescu Aloe Moisturizer is very popular and offers a baseline of sun protection. It’s lightweight and goes well with makeup. However, there’s no EWG score available, which may influence your decision. Rated a 1/10 by EWQ (as good as it gets). Contains aloe vera leaf extract, vitamin E, and green tea extract to moisturize. Active sunblock ingredient is zinc oxide (doesn’t get absorbed into skin). This is clearly labeled as vegan-friendly and cruelty-free. Beauty By Earth is the type of company I like buying from, they’re very concerned with ethical products in general. This might be the most well-rounded moisturizer with SPF. The price, SPF content, and even ratings are all in the middle of the products on this list. 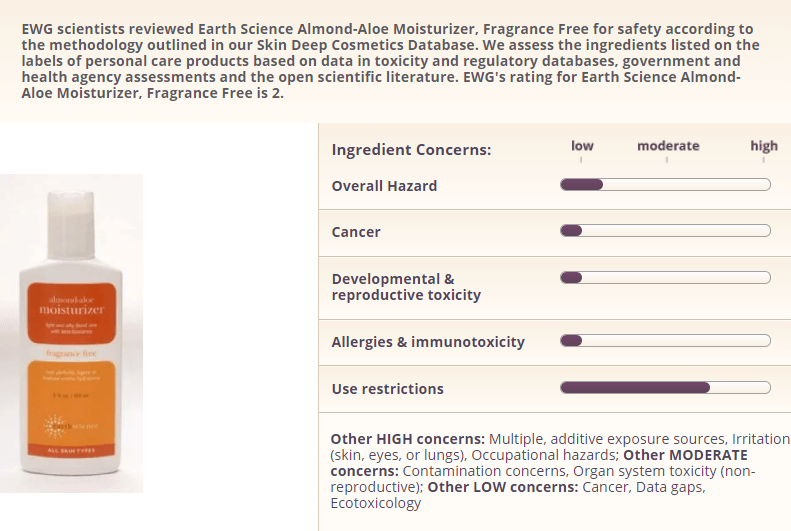 EWG doesn’t have data for the current product, but they do for the 2015 formulation of it. It scored 1/10, which is perfect, and I doubt that score would change much if updated. In summary: Highly rated product created by an ethical company. It’s as safe as you can get, and offers a little extra SPF than most of the other moisturizers here. Most people rate highly, but a few reports of it causing breakouts. I think this is a good product, but Earth Science does a really terrible job on packaging and marketing. There’s not too much information on their product pages, so while I was able to dig up on their FAQs that the product is vegan, and it’s not tested on animals, it shouldn’t be that hard. There’s not too much more information about the product, so I can’t say much about it. A few things to be aware of is that it is intended to be used with makeup. It can even be used in place of a makeup primer. On EWG, Earth Science scores 2/10, which is very good. External reviews are largely positive, although a decent amount of customers don’t like the smell. In summary: Earth Science’s Aloe Moisturizer provides a bit of SPF protection, for a good cost, and is good if you’re not too picky about scent. Highest SPF on the list here. Sunblock’s active ingredient is zinc. Many complaints of it being too “sticky”. While this is “last place” on this list, it’s still a good product for the right situation. It’s more of a sunscreen than a moisturizer. 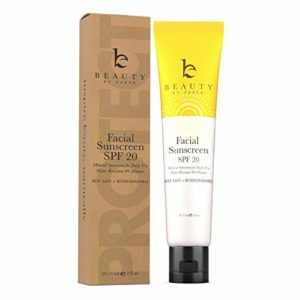 The SPF being 30 is relatively high, and while it does have some moisturizing ingredients (Aloe vera gel, shea butter, green tea extract, etc. ), sun protection is the main goal. This is the best option for you if you’re intending to be out in the sun a lot. But it’s not the best for everyday casual use, mainly because it’s thicker than all the others, which are lightweight. It’s safe to use and a decent product at a medium price point. 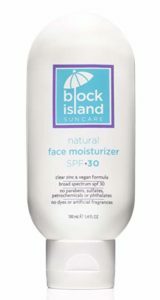 In summary: Block Islands Natural Face Moisturizer with SPF is best if you care more about sun protection than moisturization.It has a thicker, “sticky” texture, that makes it more ideal for beach use than office use.